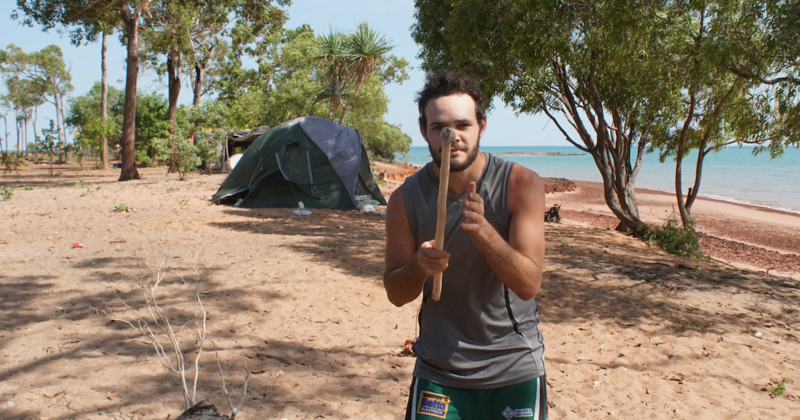 For Certificate III Developing Artist Jesse Murray, his first Cultural Residency experience was everything he hoped it would be and more. 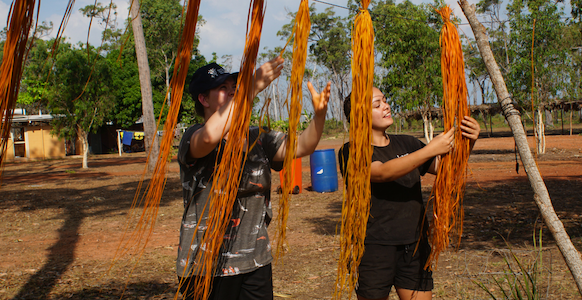 With the trip marking Jesse’s first time leaving the state and hopping on a plane, his experience was made even more memorable through the meaningful connections he made with the people of Nyinyikay. 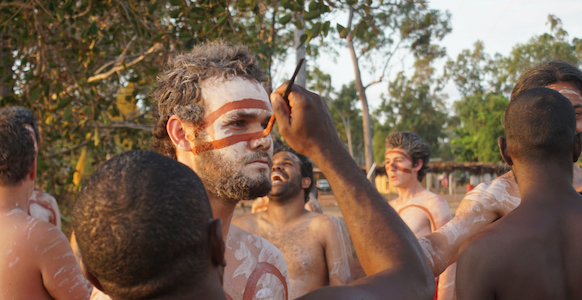 The warmth and hospitality of the Yolngu people is something which resonated with him from the moment he arrived. “It’s such a different place up there. The people are so nice and welcoming, they treat you like one of their own straight away,” he said. 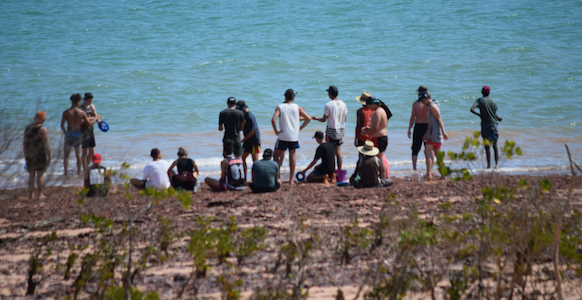 As part of the Cultural Residency experience, the male Developing Artists are invited to participate in a range of activities with the Yolngu men, giving them a unique glimpse into day to day life in Nyinyikay. 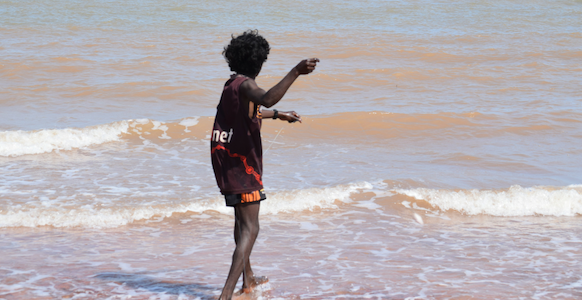 “We got to participate in heaps of activities, some I’ve already done before like didge making, but I also got to try some new things like fishing in saltwater with nets. “The experience was even more than what I expected it to be. I was prepared for some parts, but we got to do a lot more activities and experience more things than I thought we would. “It opens everyone’s eyes to a different way of living and a more traditional way of life. 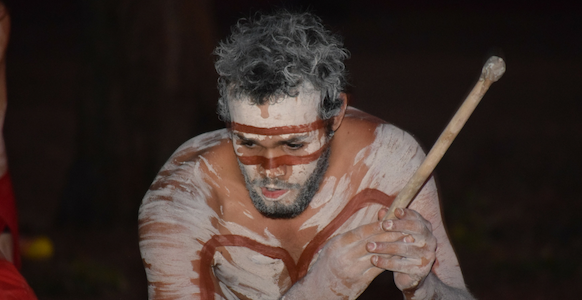 It’s so different to places like Sydney, you get a chance to see how communities live traditionally and how they would have lived before,” added Jesse. NAISDA’s Developing Artists first learn the cultural dances and songs of the Yolngu people as part of their on-site Cultural Residency earlier in the year, which sees Cultural Tutors from Nyinyikay visit NAISDA’s Central Coast campus to teach Developing Artists and share their knowledge. 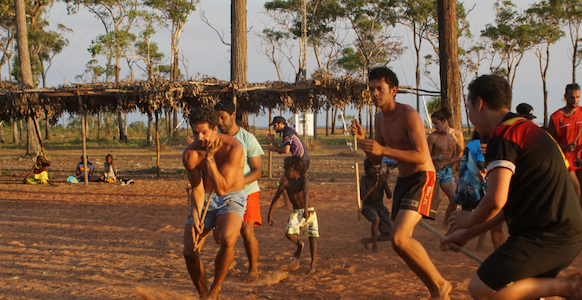 For Jesse, having the opportunity to dance on country was a very meaningful experience. “It was very different to perform their cultural dances on their country. 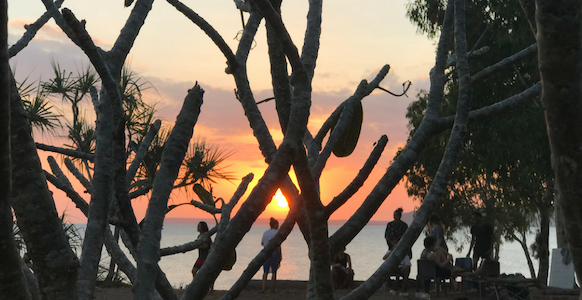 For me it was a much more spiritual feeling to be dancing on their country instead of in a dance studio or even on the sand at the beach here on the Central Coast – it had more meaning,” he said. As for the highlight of Jesse’s experience? “Probably getting really close to one of the families up there,” Jesse said. “At the end of the trip, I was sitting around talking with them, they shared a few stories with me and gave me some gifts to remember them by. I felt a part of the family,” he concluded.